Crazy hair and constant laughing sums up this video. I had so much fun filming this and you can really see my bubbly personality in this video. Matteo had never tasted Romanian food, so it was quite interesting and fun to see him react to different dishes. 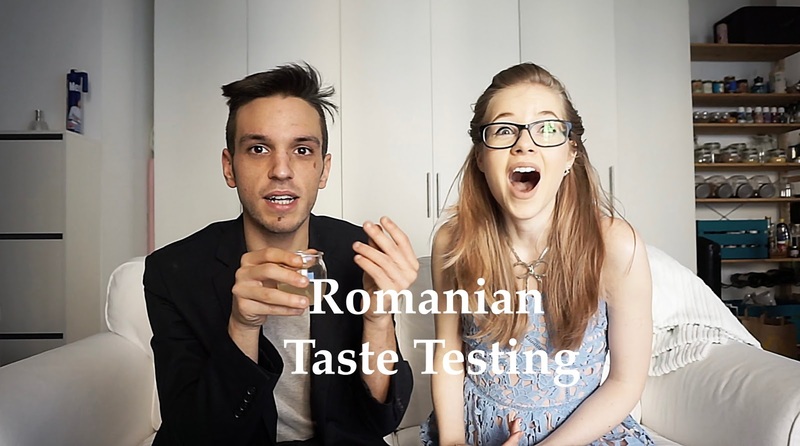 I love Romanian food, of course, but if you're curious to see his first reaction press play! You are such a cute! Your personality really shines through this video. I’ve never had Romanian food and now I want to try it. hahaahah that was funny! And you two had so much fun! What a fun video!!! How awesome! Such a fun video ! I also never tried romanian food. I love your accent so adorable ! And i love your dress in your video. love! the pants are awesome! Yesss girl! This was such a fun video to watch! I definitely found myself laughing out loud at some excerpts :) Thanks so much for sharing babe! I've never tried Romanian food either! You guys are so cute, what a fun video! That was a very funny and fun video! I liked the laughing parts! I love prunes jam, I tasted that in my childhood and later, too, still have it from time to time - sooo delicious! Hope you have a lovely weekend!